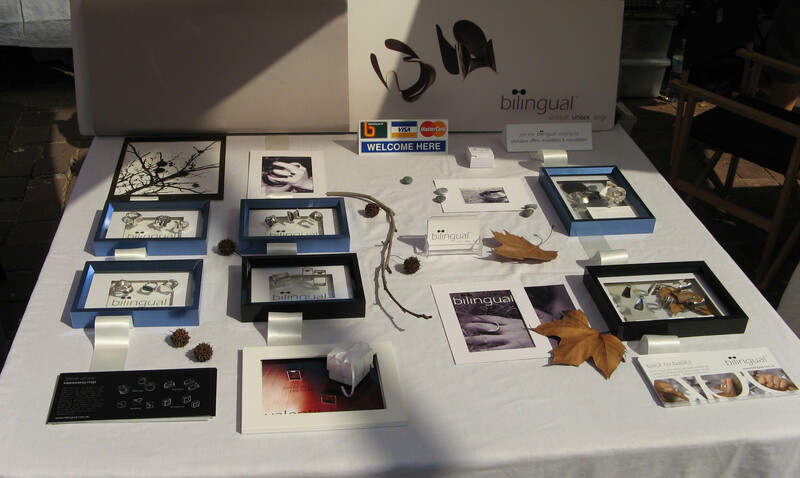 At Bilingual, we are passionate about creating meaningful jewellery! 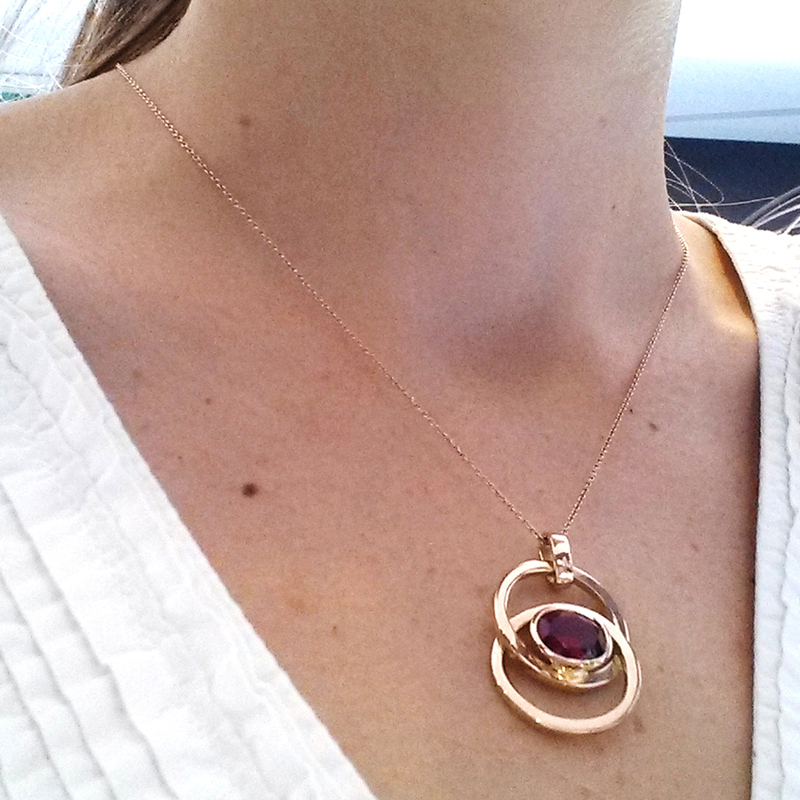 It’s a joy to so often be designing pieces that have the special function of commemorating important things in life. For many of us, certain jewellery pieces are powerful reminders of who we are, what we’ve been through and the people and events that have held a special place in our lives. 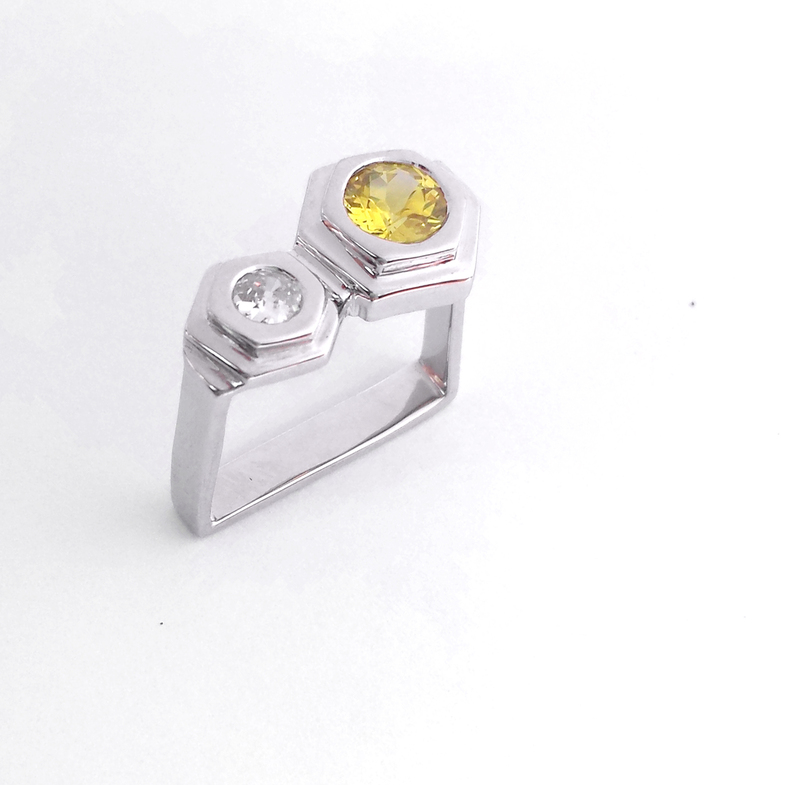 Typically, there are three main ways that we go about creating these commemorative pieces: either by modifying an existing jewellery piece, re-using stones or creating something completely new that has symbolic meaning. 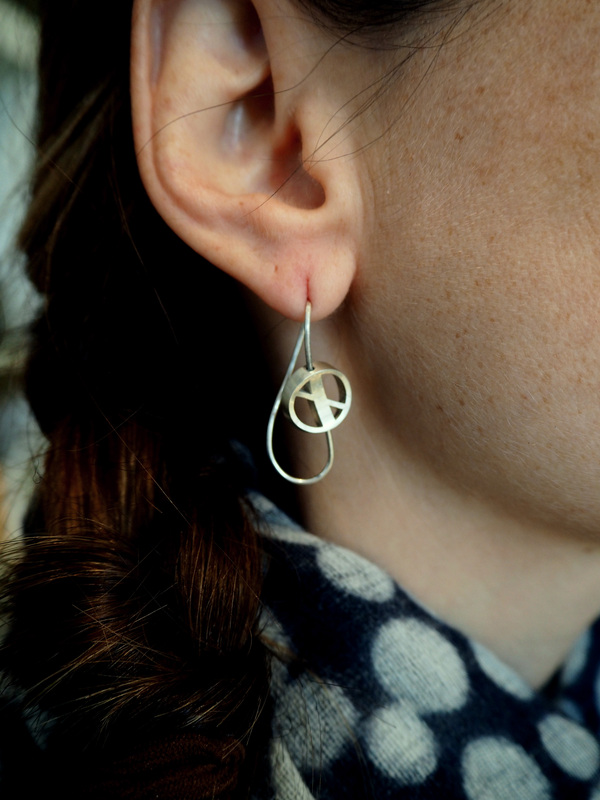 Some of our commemorative jewellery designs are created from original jewellery pieces, keeping parts of the original form intact, though they are modified in some way to make the piece more wearable. 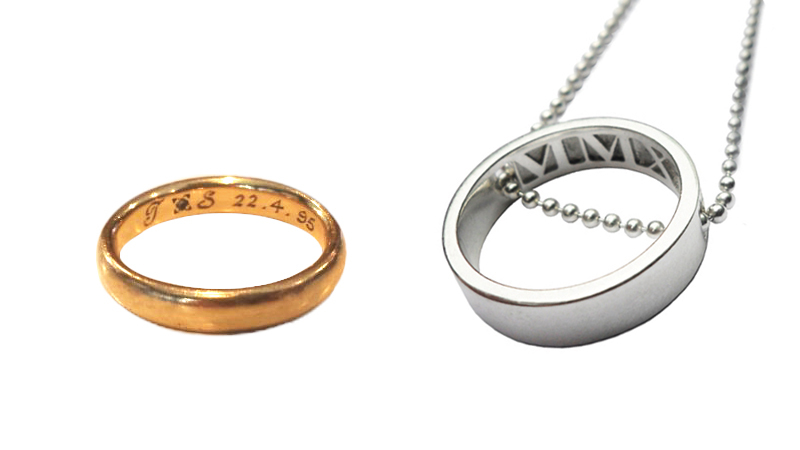 This gold wedding band (above, left) was adapted into a pendant in our classic Momento style. 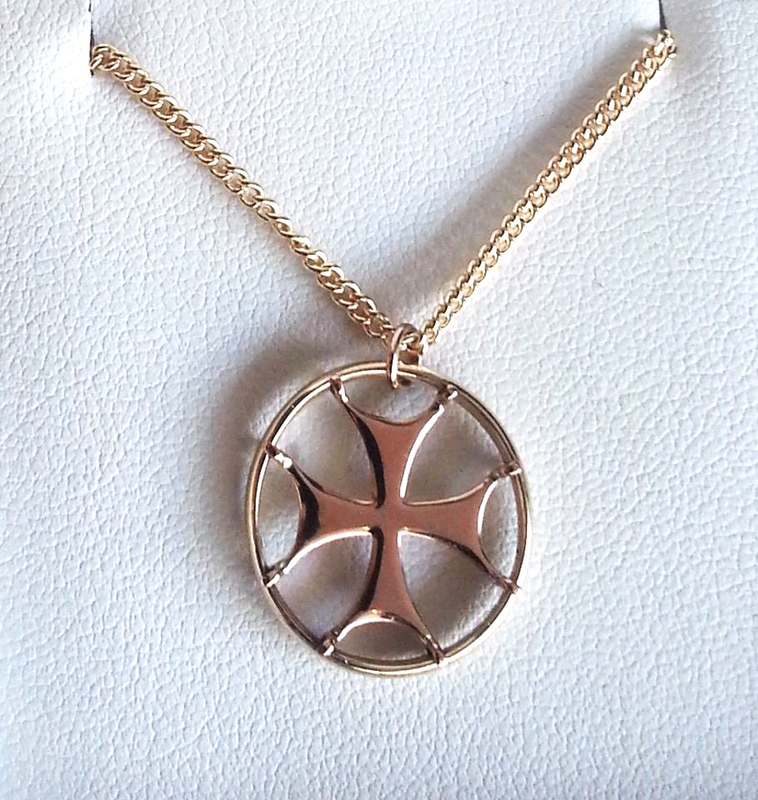 In the pendant below, our customer’s late mother’s wedding ring was redesigned to feature a cross in the centre that holds onto the ring without altering it. 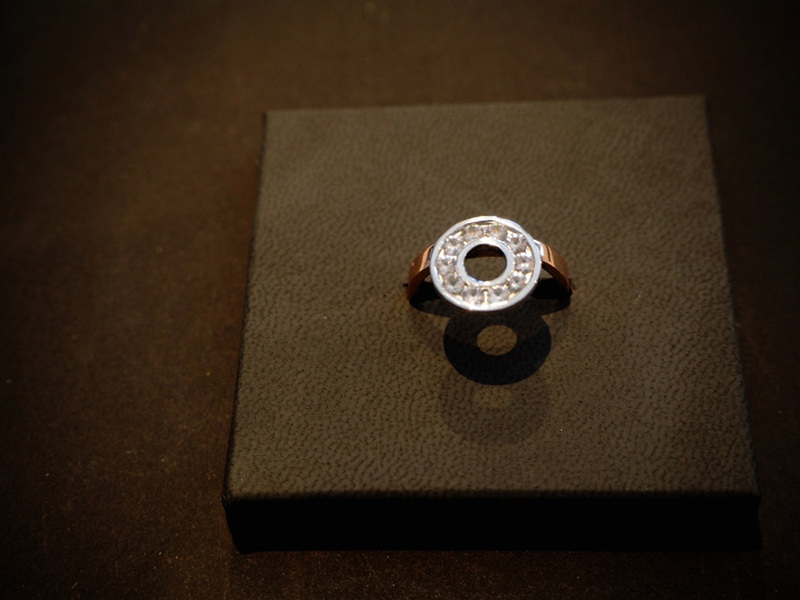 An antique pin is transformed into a ring, while two inherited pieces have been joined as one in this contemporary family heirloom (above). Using a stone that belonged to someone special, or was given to you to mark an occasion or relationship, can be a powerful form of commemoration while allowing freedom for your own style and personality. 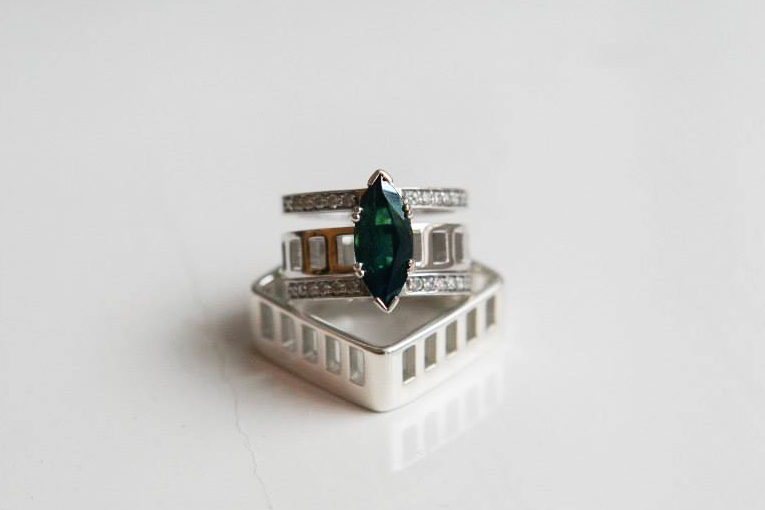 Chiara’s custom-designed ring (below) incorporates a diamond that was given to her with a new sapphire, drawing on imagery of ‘day and night’. Of course, we can also make you something completely new to commemorate an occasion or loved one. 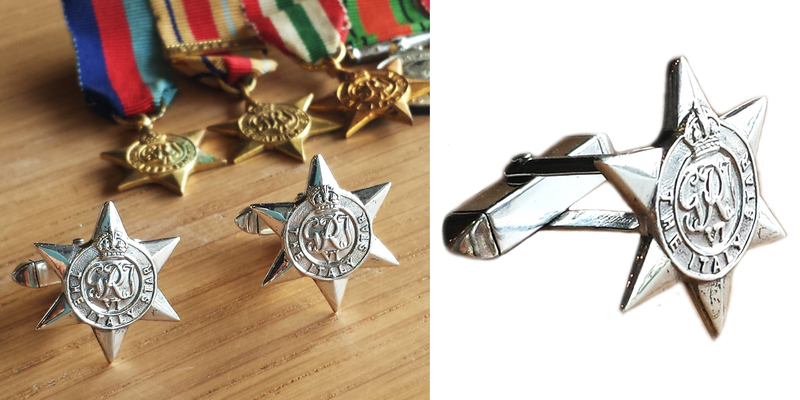 To preserve the original medals (below) we had a mould made so the exact form of the medal could be incorporated into custom-designed cufflinks. 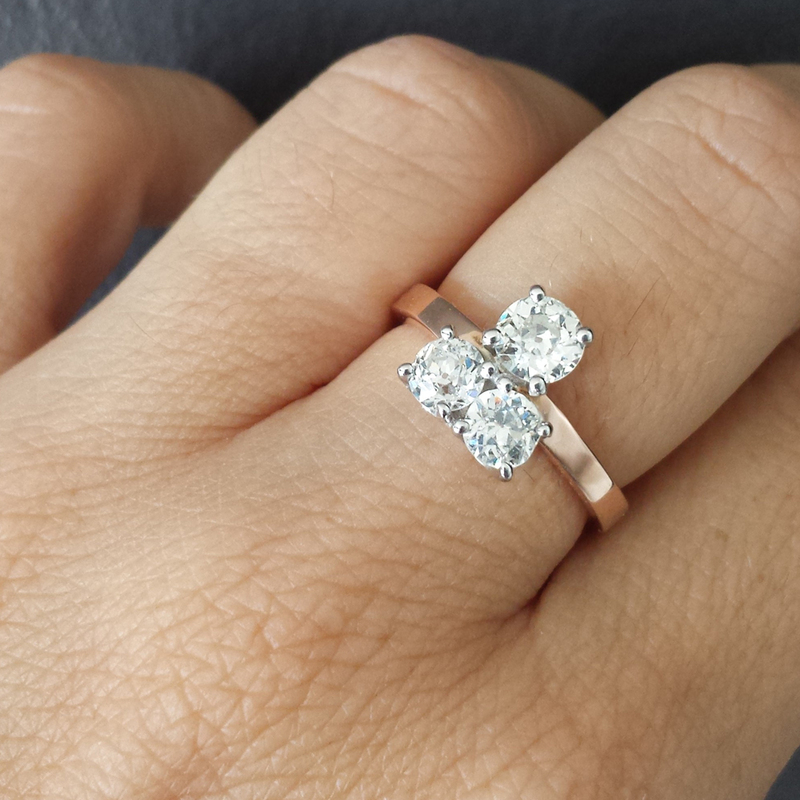 The ring above was designed in memory of our customer’s mother. 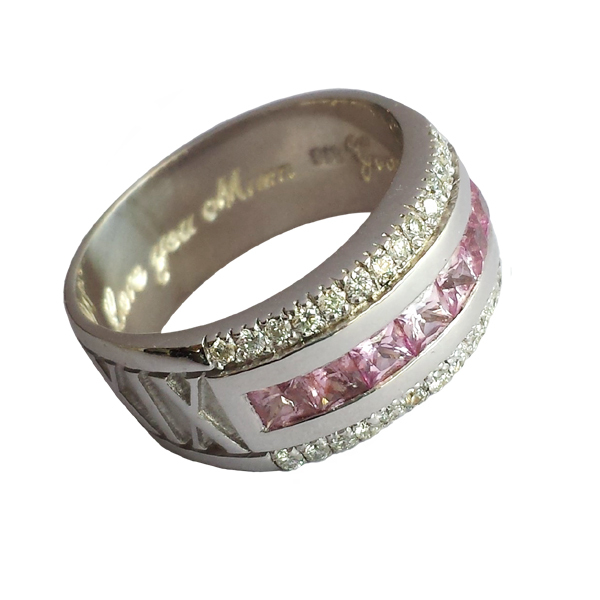 Her birth date was inscribed in roman numerals and the pink gemstones represent her love of all things pink. 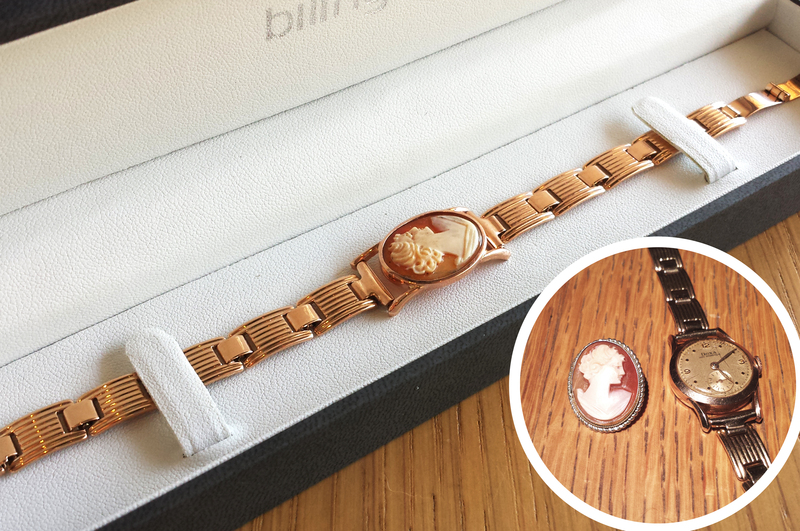 It also features engraving on the inside of the band. With so many ways to create commemorative jewellery we’re sure we can find the perfect way to create your meaningful piece. What are the things in your life that are worth special commemoration? This entry was posted in Events on March 17, 2016 by admin. 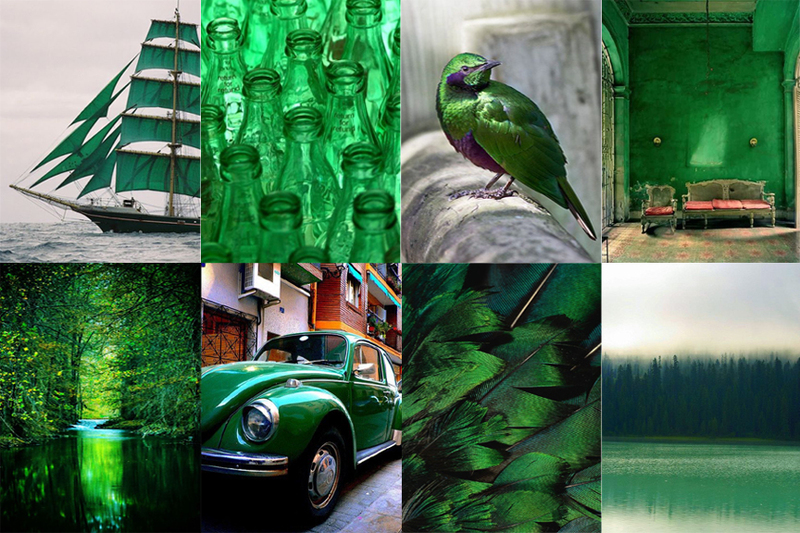 Have you ever wondered what it would be like to experience our unique custom design process? Our exclusive method is far more involved than you may think… Here, we share Fiona’s journey with you! 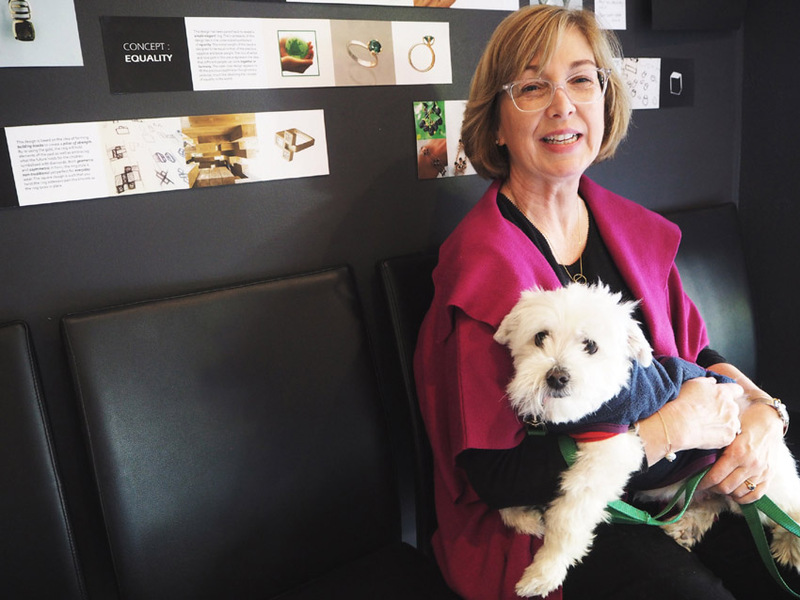 The first step in our design process was to meet with Fiona to find out a bit more about her, discuss her ideas and dreams, and how we could create a beautiful ring for her. 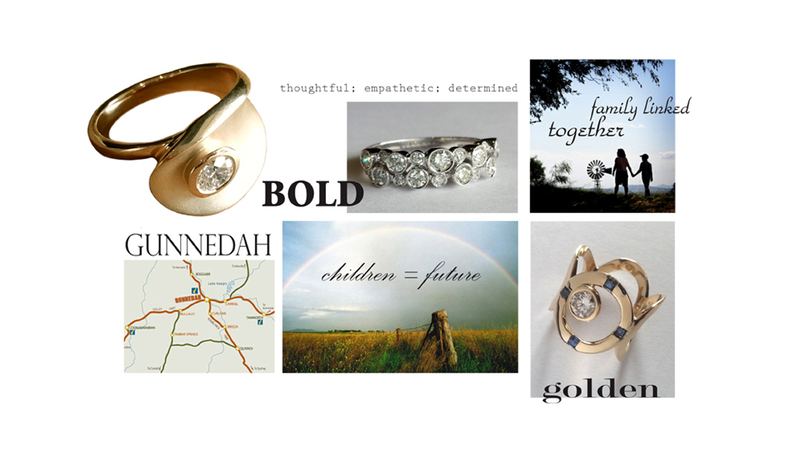 She filled out our special questionnaire designed to uncover some of the things that held meaning for her, and from this, we developed some themes and concepts to drive the design of her ring. We then displayed these ideas visually as a concept board. Based on Fiona’s concepts, we developed a couple of design options for her to choose from. 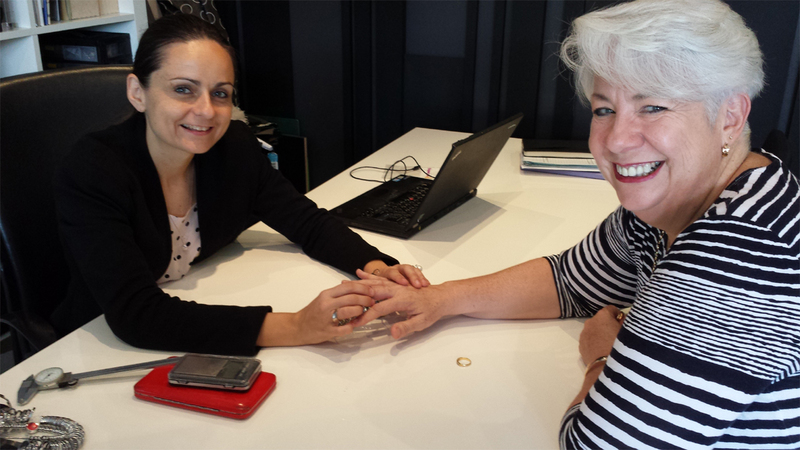 Fiona met with us a second time to discuss the design options and decide which one she would like to develop into the final ring. 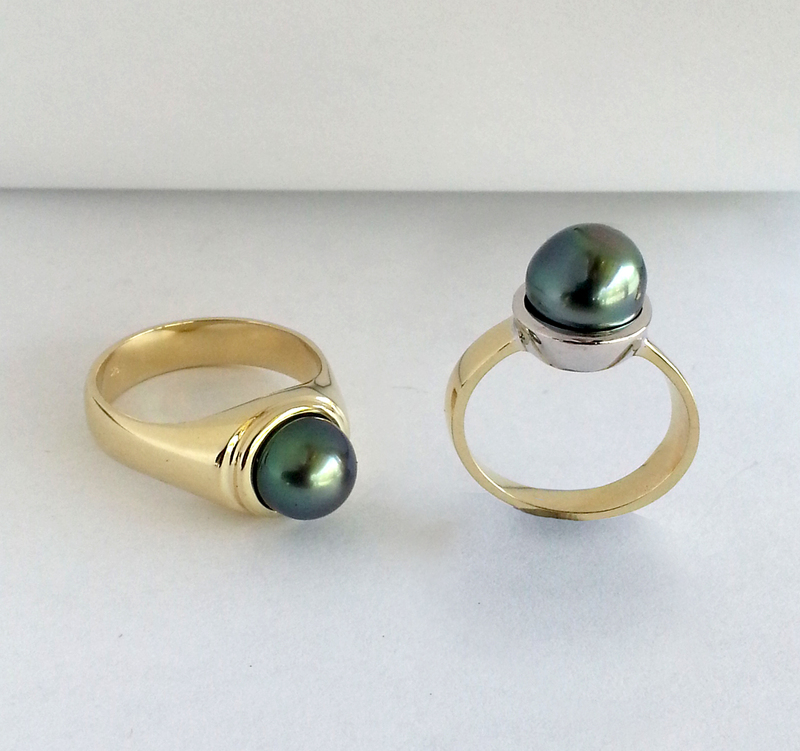 She chose design option 1 to be made into 9ct Yellow Gold, featuring a white freshwater pearl. We also measured Fiona’s finger to make sure her new ring would fit her perfectly. 4. Production & Presentation of the Final Piece. 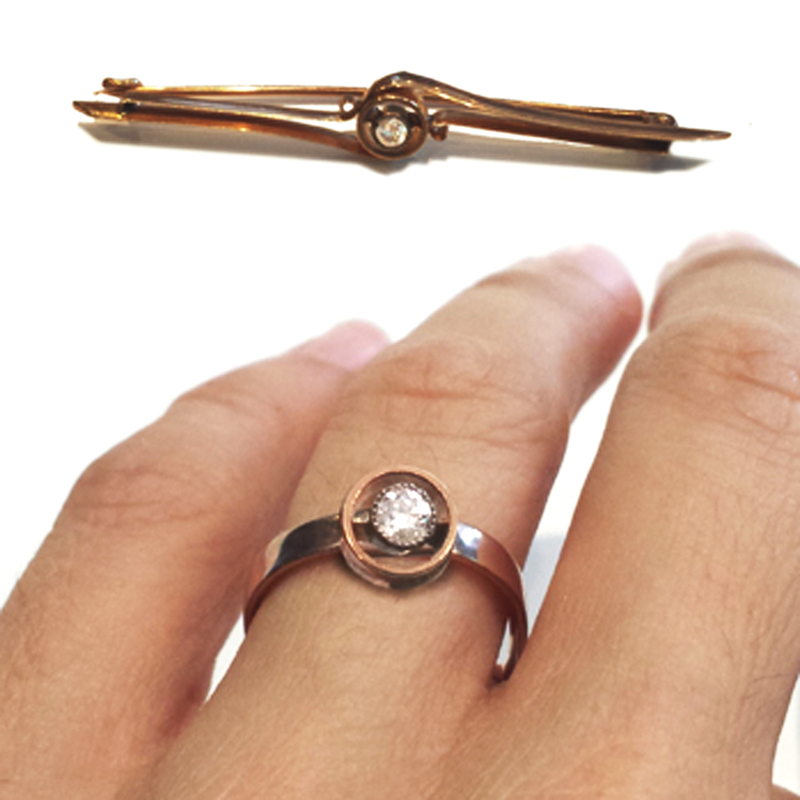 Once we had settled on a design and determined the final measurements, we were ready to make Fiona’s ring! 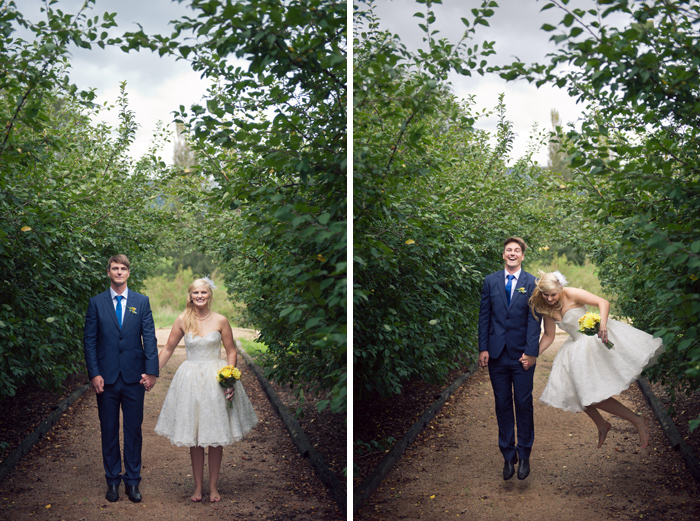 Here’s how it turned out………. 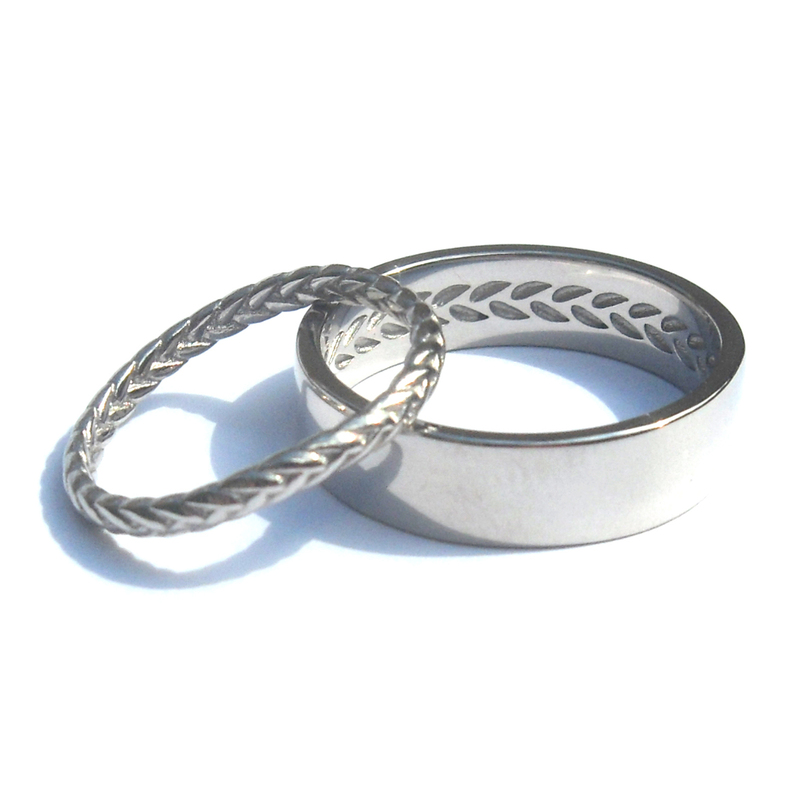 Let us make you custom jewellery with our unique design process! Book an appointment today! 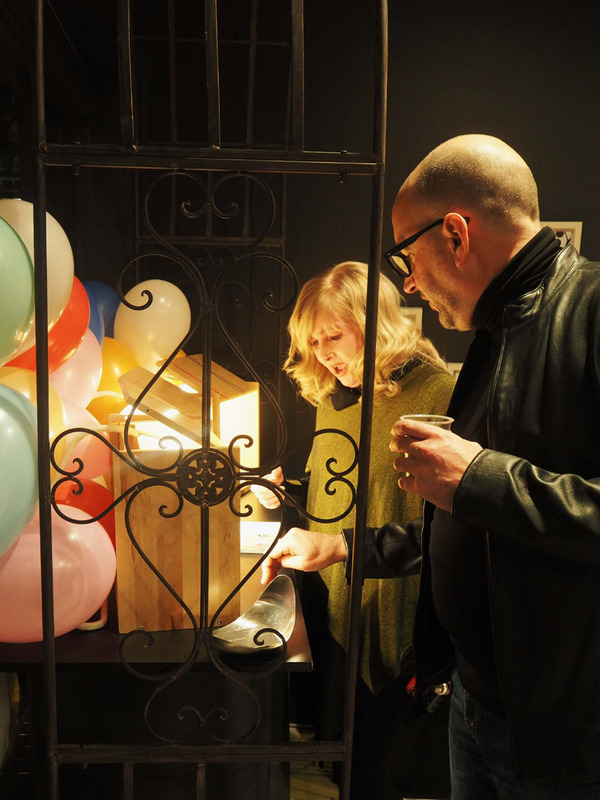 This entry was posted in Events, News, Special Interest on February 17, 2016 by admin. 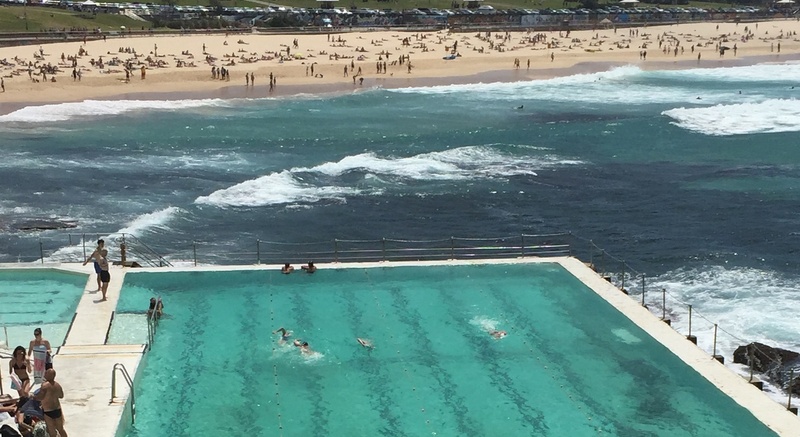 It’s summertime in the Southern Hemisphere and for many Aussies, that means weddings on the beach, cocktails on the beach, lazing on the beach, sport on the beach, holidays on the beach and just a lot of beach time, generally. Unfortunately, many of us have had experiences where our jewellery didn’t make it through this summertime ritual unscathed. But when we want a bit of extra glam for that social event or simply want to jazz up our cossie, how can we avoid ruining the pieces we love so much? 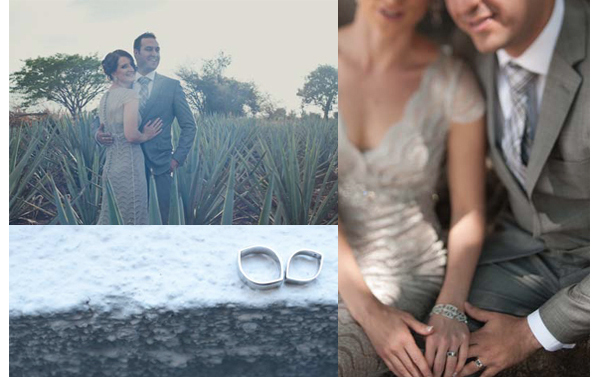 What jewellery can stand against the onslaught of the elements? The trick is to find jewellery that can handle the 4 summer S’ (specifically, salt, sand, sweat and shrinkage), and to be aware of the pieces what won’t fare so well. 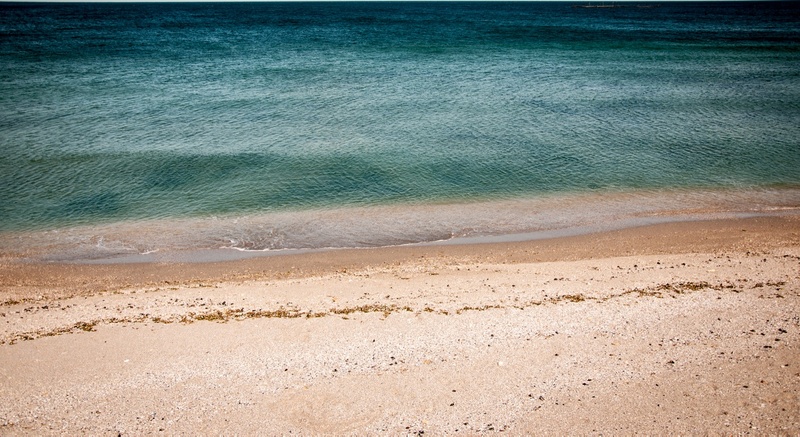 Salt air and water can have a long–term effect on any jewellery, but soft or absorbent materials (such as wood, coral or turquoise) are particularly vulnerable since they absorb the sea salt and air, which eventually wears them down. Salt is particularly harmful to rose–gold because of its copper content. Chlorine can also discolour your jewellery, particularly silver. Pearls do not fare well with any kind of prolonged water submersion as water wears away the solvent and loosens the pearl. 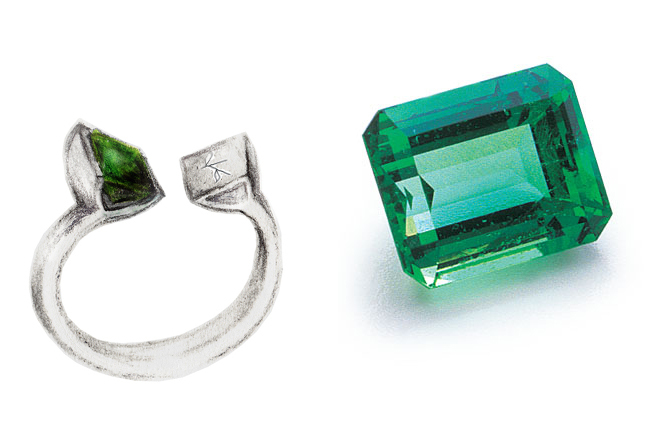 In salt-air environments, it is important to store jewellery in a cool, dry and well ventilated place. Sand is highly abrasive. It can wear down plating and scratch softer stones like quartz, amethyst and citrine. So opt for solid metals and harder gemstones in your summer jewellery, like diamonds, sapphires, or rubies, which will survive unscathed. Have you ever worn a piece of jewellery that has turned black? This can be caused by the chemical reaction that occurs when metal – particularly silver – is exposed to the sulfur dioxide that comes out through our skin. Many foods, such as garlic, feta cheese and olives will produce higher levels of sulfur and cause our jewellery to react more to sweat. While sun creams and tanning lotions are non-corrosive and won’t harm metals, they can cause damage to string and thread, so be very careful with strung jewelry. Did you know that your fingers shrink in cold water? They do! Treasure troves of rings have been lost in the ocean so unless your ring is super tight, it’s best to take it off before you jump into the water. 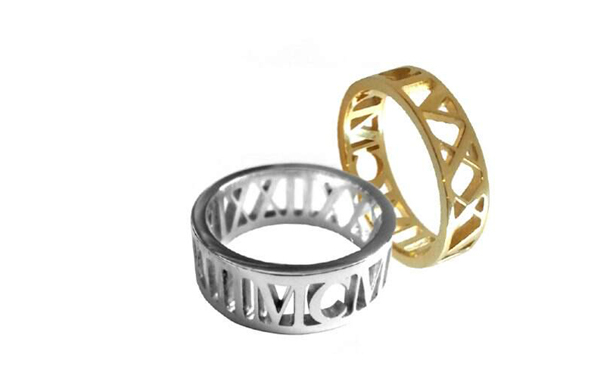 – Choose durable materials like platinum, titanium and yellow or white gold. Silver is generally okay too, for short periods of time, but not in chlorine. 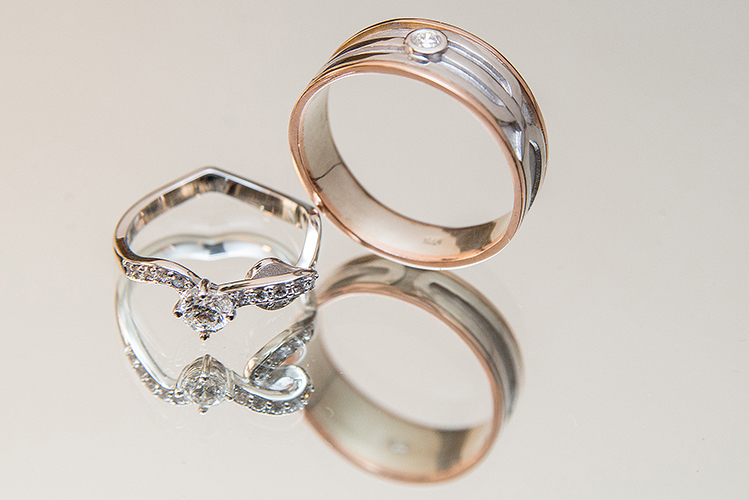 Avoid exposing rose gold to salty environments. – Opt for diamonds and other hard precious stones over porous materials or softer stones. – Take your rings off before going in cold water. 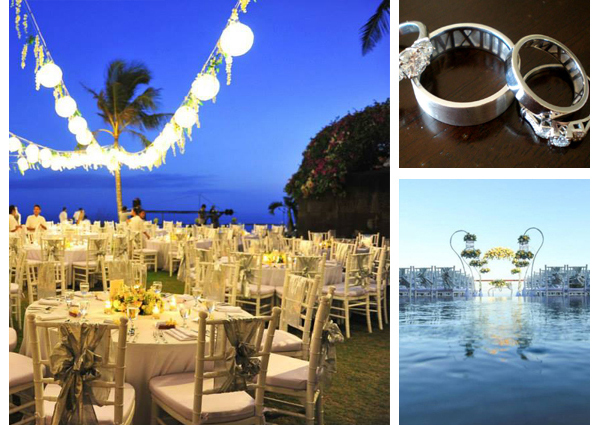 – Remove all jewellery in chlorinated water, including pools and hot tubs. 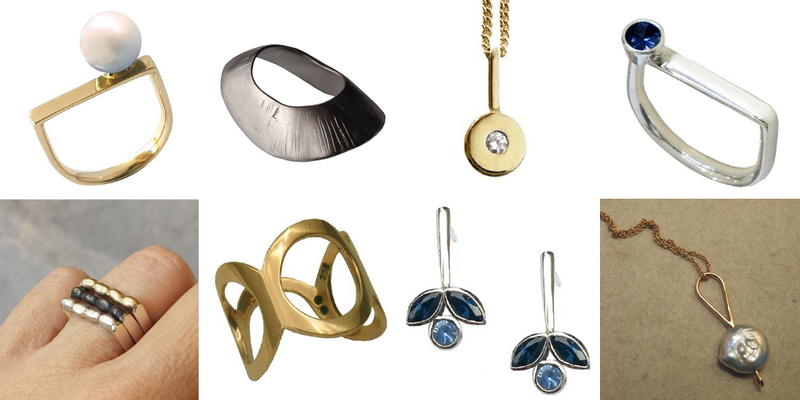 – Check your jewellery for any loose stones or faulty clasps. – Avoid getting sun cream or lotion on strung jewellery. – Clean your jewellery with warm soapy water and a toothbrush after a day of sun and sand. 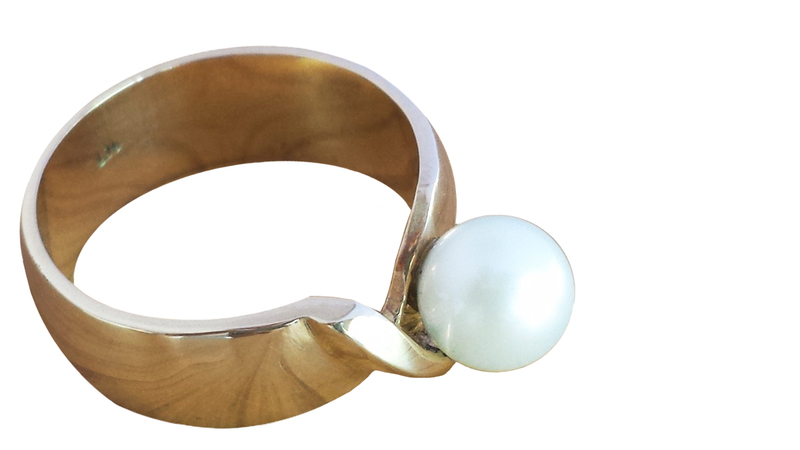 Cradle Pearl ring in white gold – perfect for a beach wedding! 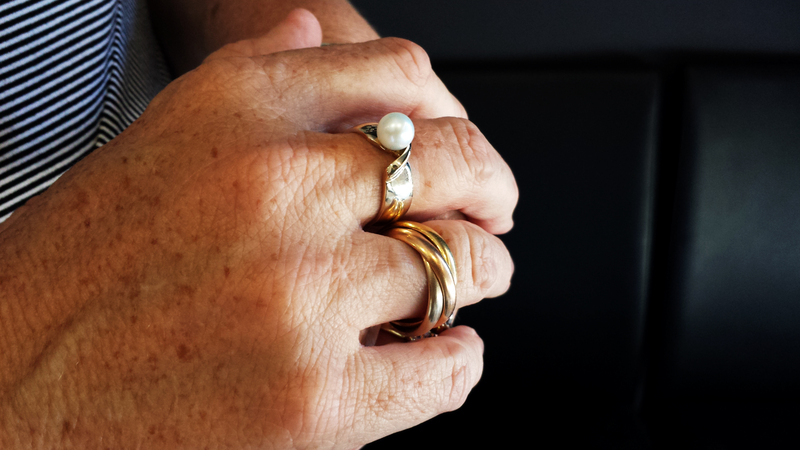 Open ring in sterling silver – inspired by oyster shells, this ring uses a twist-motion to lock securely to your finger. Cradle ring in white gold with Australian sapphire – a stunning and hardy ring for all occasions! Lunar earrings in white gold with sapphires – beautiful beach-proof earrings for a special occasion! This entry was posted in Jewellery Care, Lifestyle, Products, Special Interest on December 22, 2015 by admin. Christmas time is a favourite of mine! I have always loved finding the perfect gift for my friends & family and then seeing their face when they unwrap it. Luckily for me, I have a pretty good track record for getting great Christmas gifts. 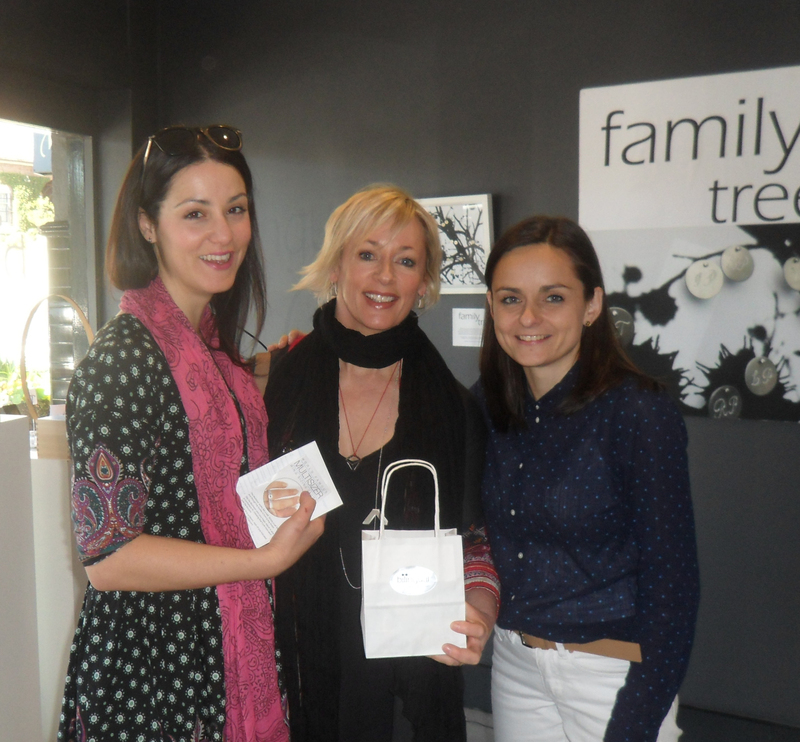 When deciding on the ideal jewellery gift idea I would recommend doing some brainstorming…. Have they mentioned they would like a designer gold pendant one day? Did they lose a unique ring that they would like replaced? Are they a gold wearer or do they like silver jewellery? What jewellery piece do they not have? Do they like to mix and match? Find your clues and check out our unique jewellery gift ideas. 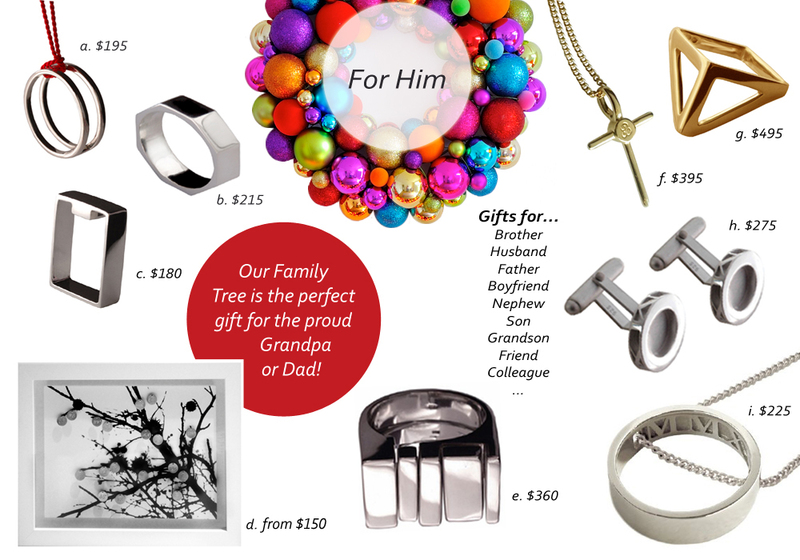 Show the man in your life just how clever you are in finding their perfect Christmas gift! 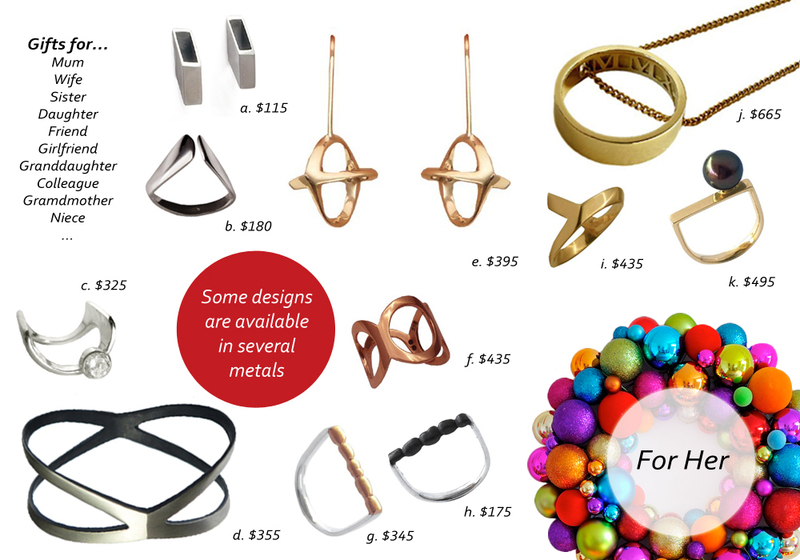 She will be amazed to find one of these stunning pieces under the Christmas tree! 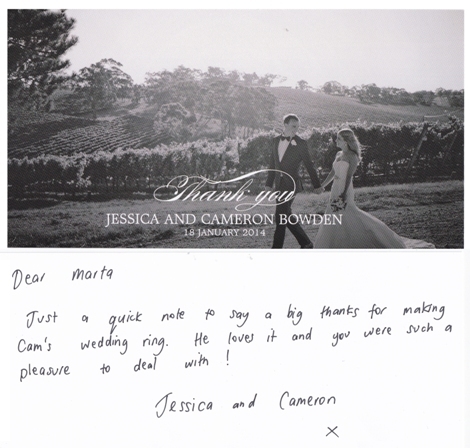 Make your someone feel extra special with a personalised custom made jewellery piece just for them! 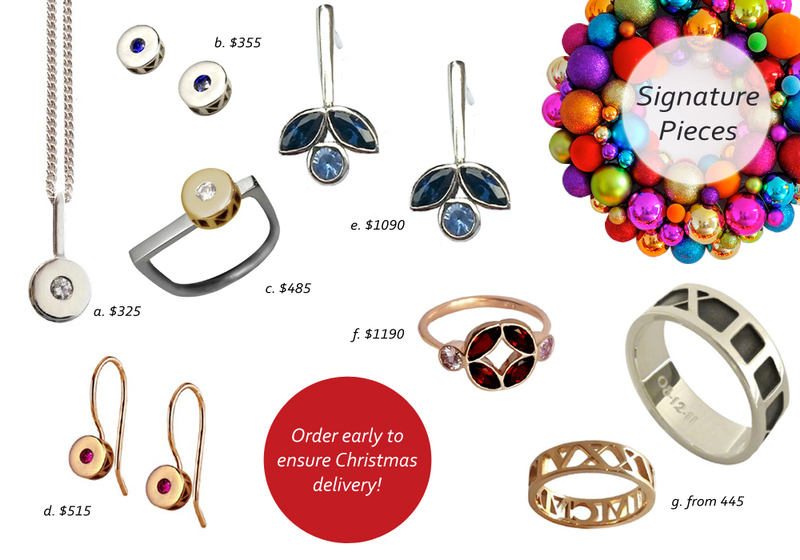 *Order your signature or custom jewellery early to ensure it is ready for Christmas! Come and visit us at our store or order online today! 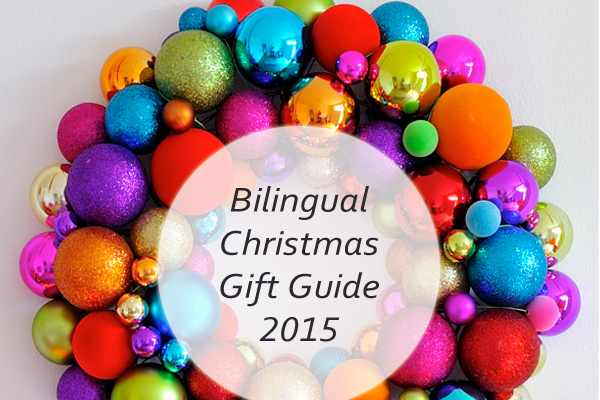 Bilingual’s 10 Year Design Show! 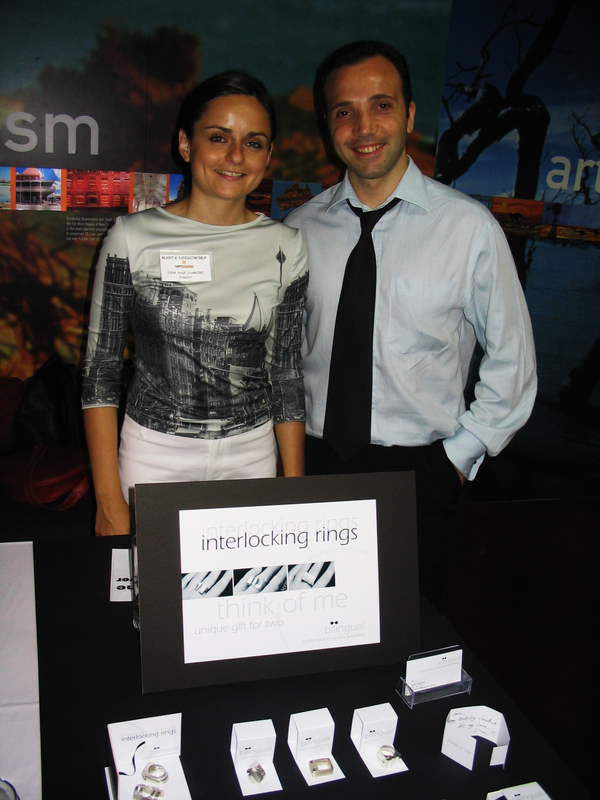 We had a great time celebrating 10 years of Bilingual at our design show last weekend! 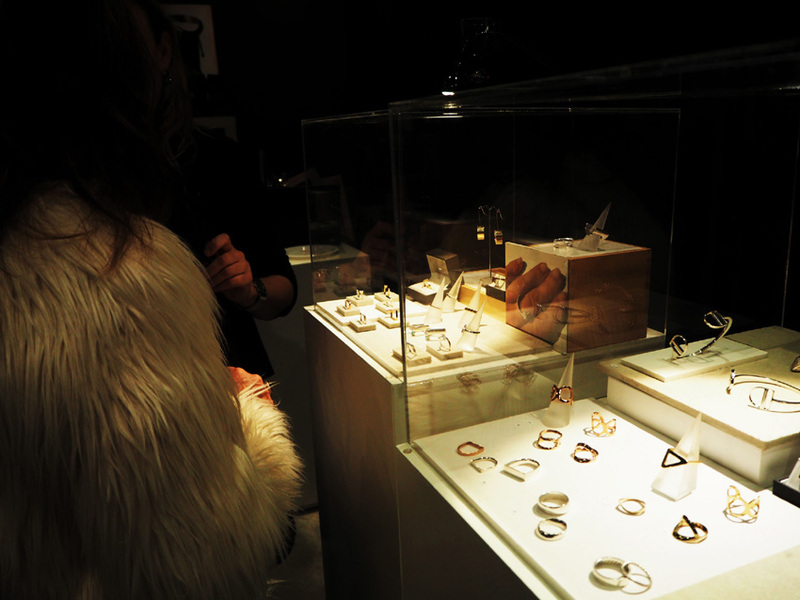 We were excited to launch our new 2015 jewellery collection and to show off our special 10 Year Anniversary diamond ring! 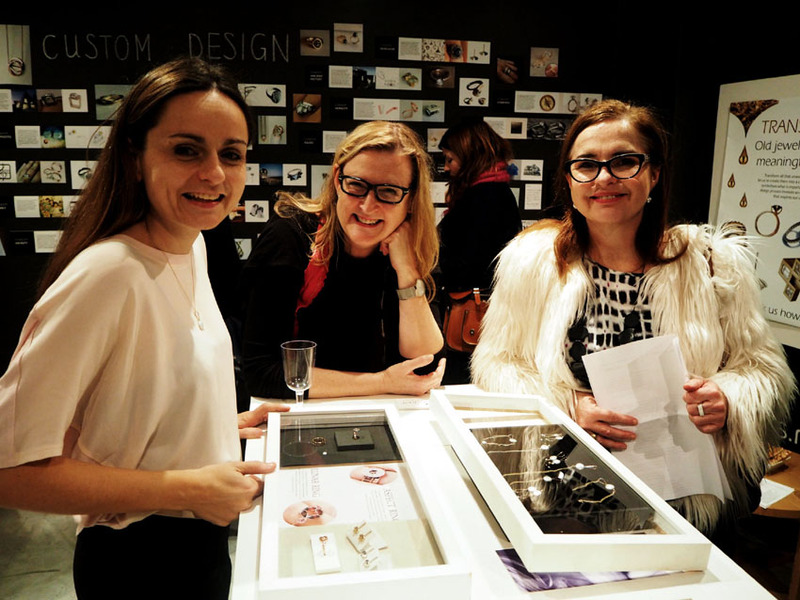 A big thank you to everyone who joined us – we’re look forward to sharing another decade of innovative jewellery design with you! 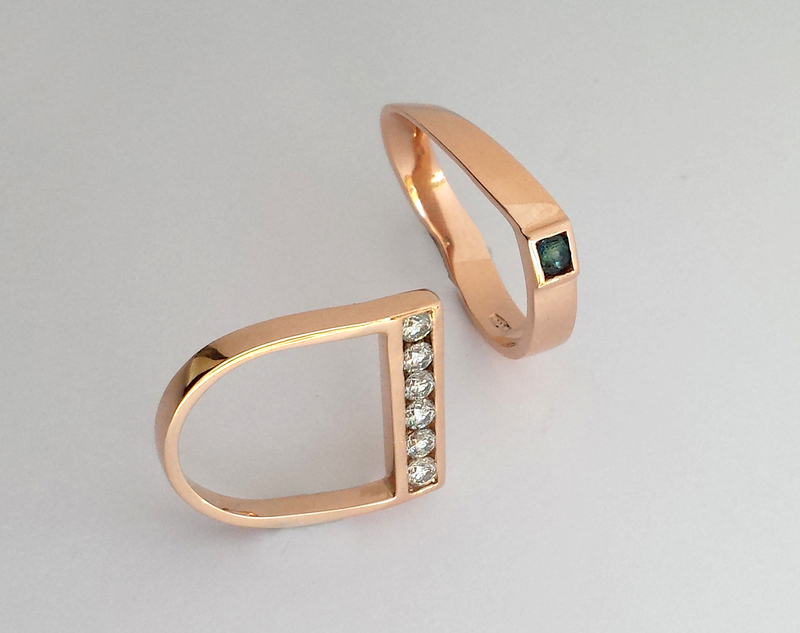 The ‘Aspect‘ Ring celebrates a decade of Bilingual Design. What could it celebrate for you? Stay tuned for more updates and images from the new collection! This entry was posted in Events on August 13, 2015 by admin. 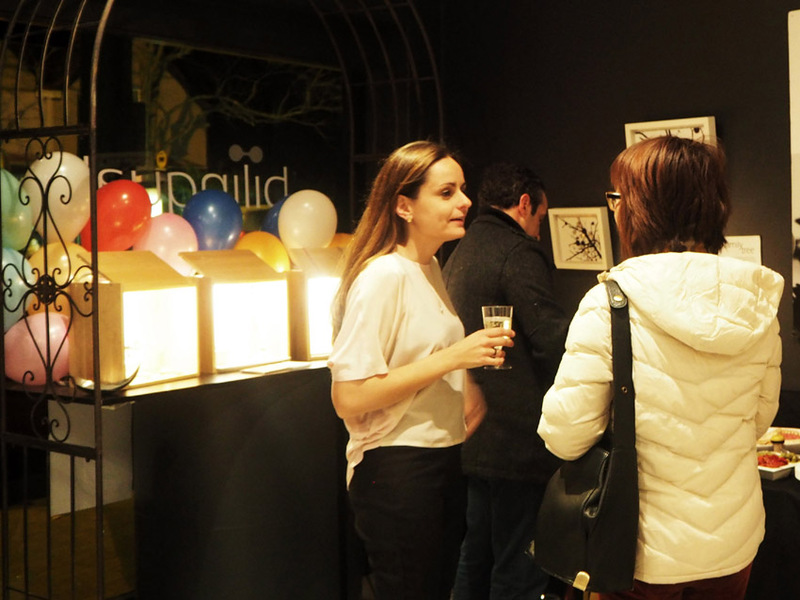 Bilingual Celebrates 10 Years of Innovative Design! This year we are so proud to be celebrating 10 years of Bilingual Design! 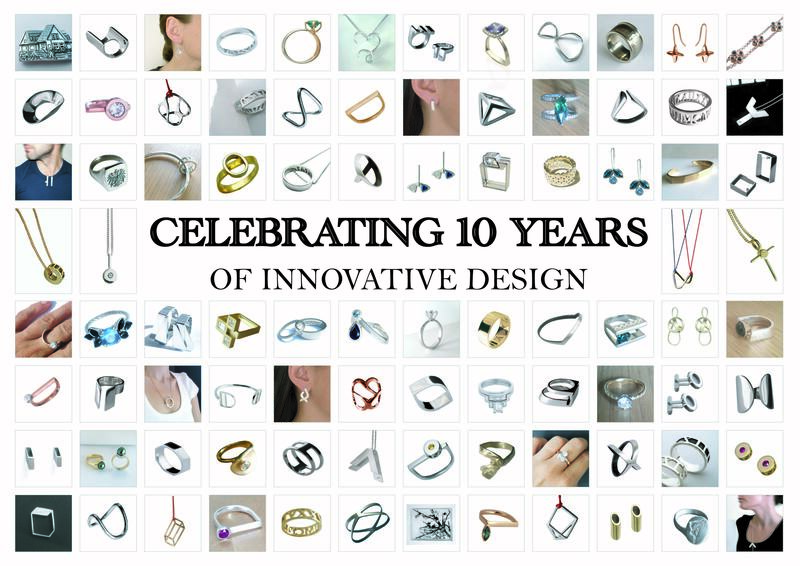 We’ve come so far in a decade: from a handful rings in 2005 to over 500 original designs to date. We certainly have been busy and it’s been exciting to look back and see how things have changed! 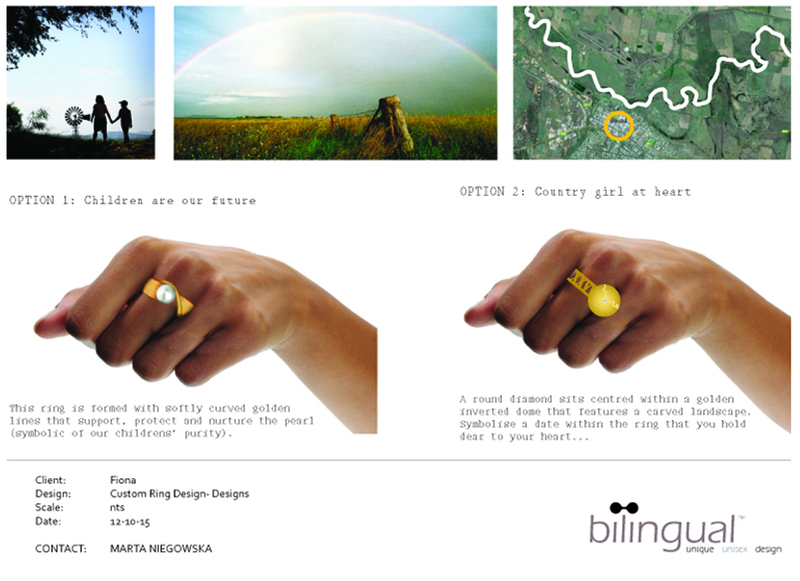 By telling us what dream you’d like to fulfil in the next 10 years, you can win a custom-designed Bilingual ring valued at $1000 (see below)! 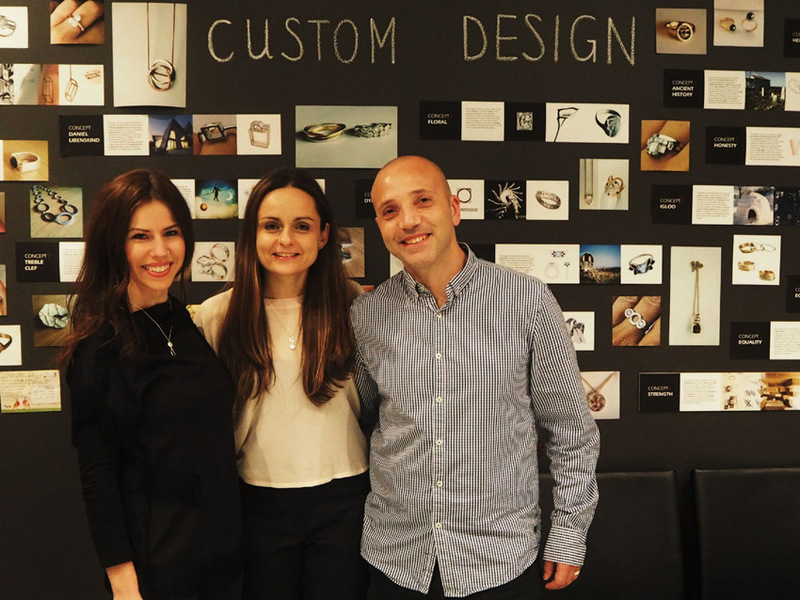 After finishing a design degree and being a finalist in the Shell Young Achiever Awards, Marta and Salvatore started Bilingual Design in 2005 with the dream to create innovative jewellery pieces for men and women with timeless and classic designs. They wanted to design pieces with strong concepts that were unique and provoked conversation. 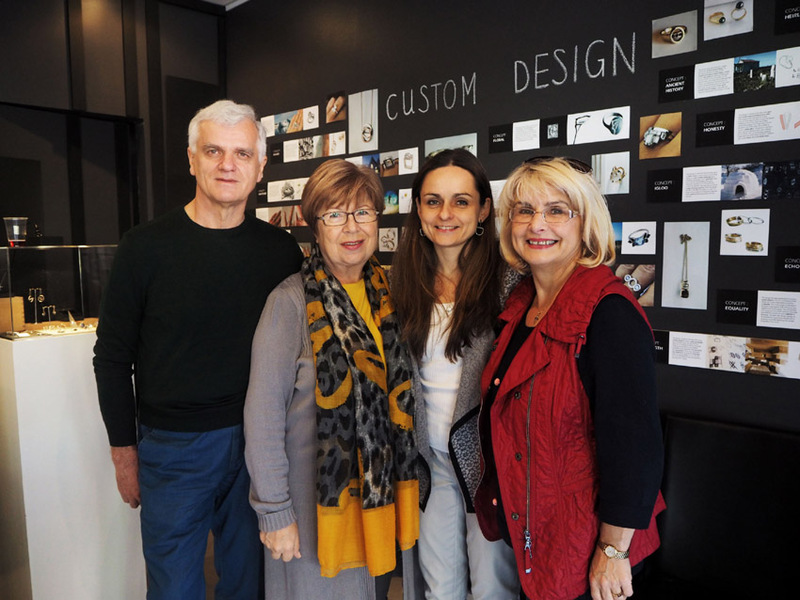 Marta and Salvatore began selling their jewellery at design markets Australia wide, which gave them a good chance to meet people and receive instant feedback. “The markets have a really good buzz in the air and you get to meet so many people from all walks of life as well as chat to other designers who are doing their own thing”, Marta says. But the market experience also had a few challenges. 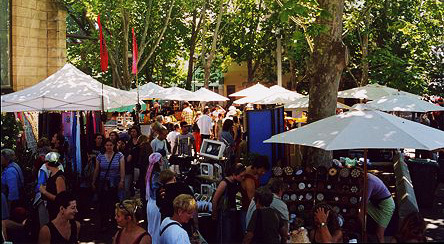 Often, it could be difficult setting up and packing away the stall and also having to come up with creative displays that could be flat-packed for transport. And of course, the weather! By 2010 Bilingual was starting to take on more custom design work. People were asking for their own unique pieces and Marta had developed her exclusive custom design process. 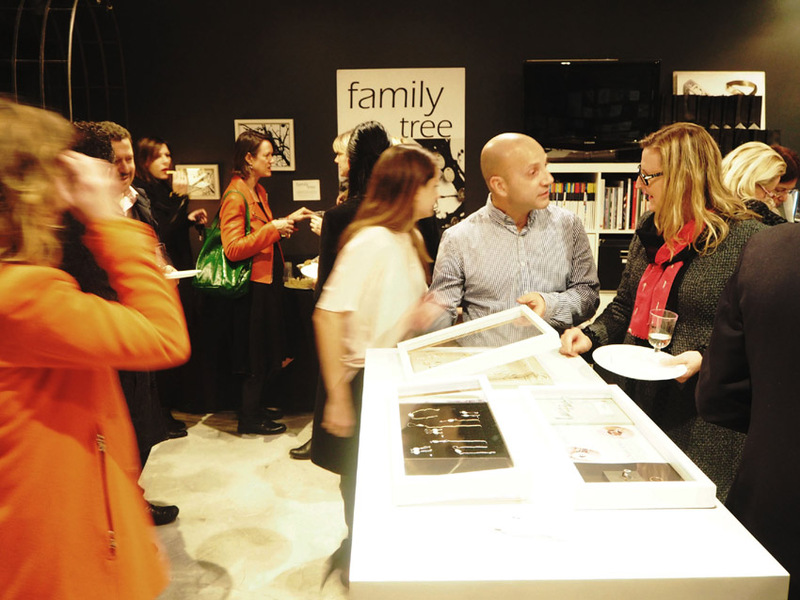 In 2013, Bilingual Design launched their flagship store in Lilyfield, Sydney, which was an exciting turning point for the brand – with the likes of Amanda Keller toasting to our success! 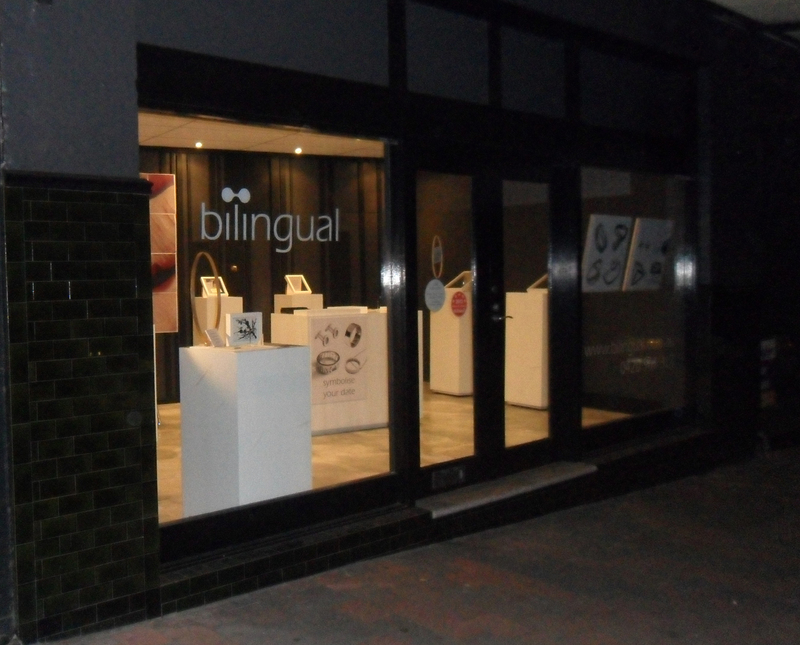 Bilingual’s new home has allowed the brand to offer its clients the convenience of all-day (and evening) appointments and the shopfront has built a reputation as a destination point in Sydney’s Inner West. So what is the secret to our 10-year journey? Remaining true to out philosophy of creating timeless and classic designs that embrace innovation and are made for longevity. 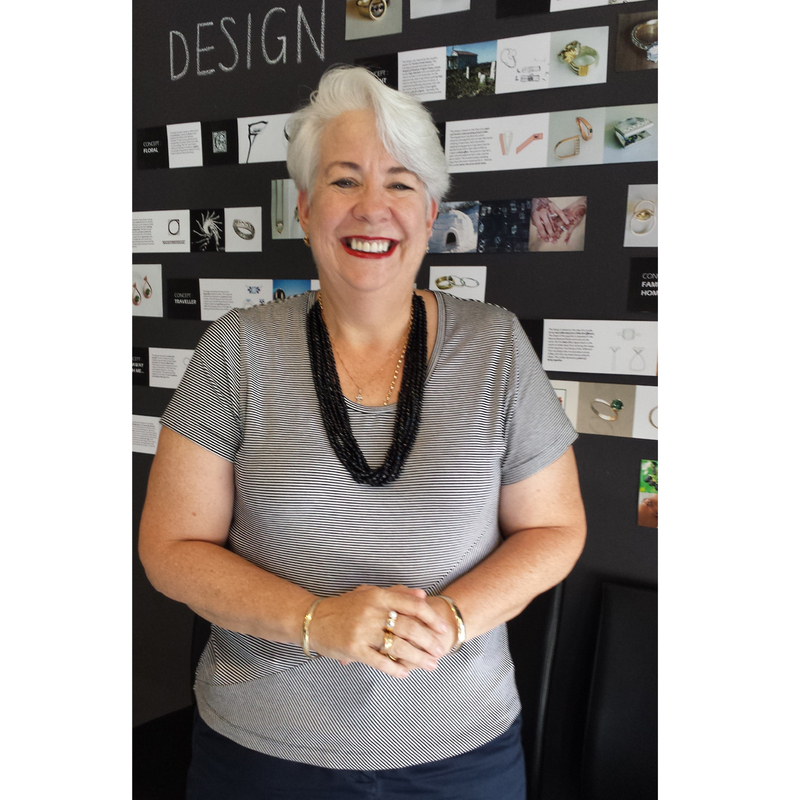 We look forward to continuing on our passionate pathway exploring creative jewellery design for another 100 years! We would love for you to celebrate with us! 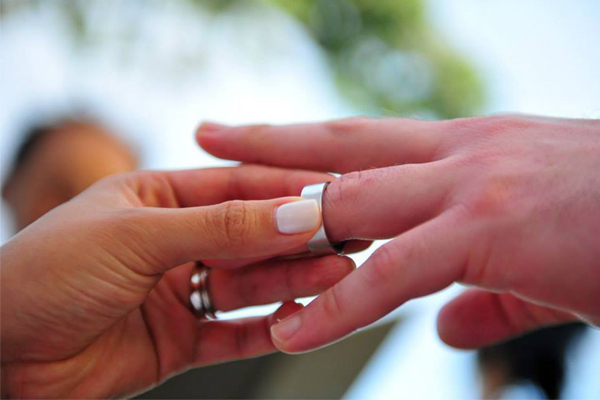 Come along to our 10th Anniversary Show during 8-9th of August and enter our ‘Win a Ring’ competition, where you can win a ring, custom-made for you to the value of $1000! All you need to do is tell us what dream you’d like to fulfil in the next 10 years. Click HERE to enter now! Competition entries close 31st July. This entry was posted in Events, News on July 2, 2015 by admin. 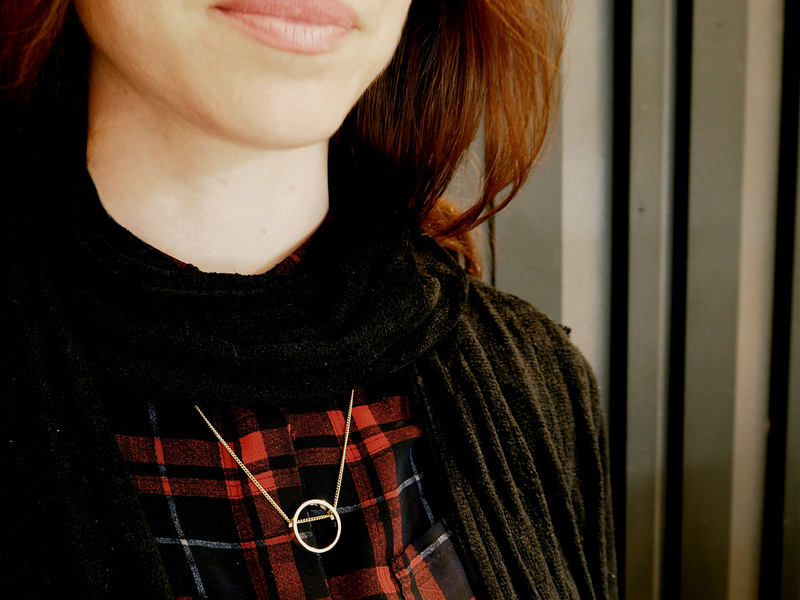 Our winter wardrobes are prone to jewellery disasters! Claws catch on knits, earrings are whipped out with the scarf and chains get lost in the layers. So as the cold sets in and the layers pile on, what jewellery is best equipped to survive the chilly season with style and practicality? 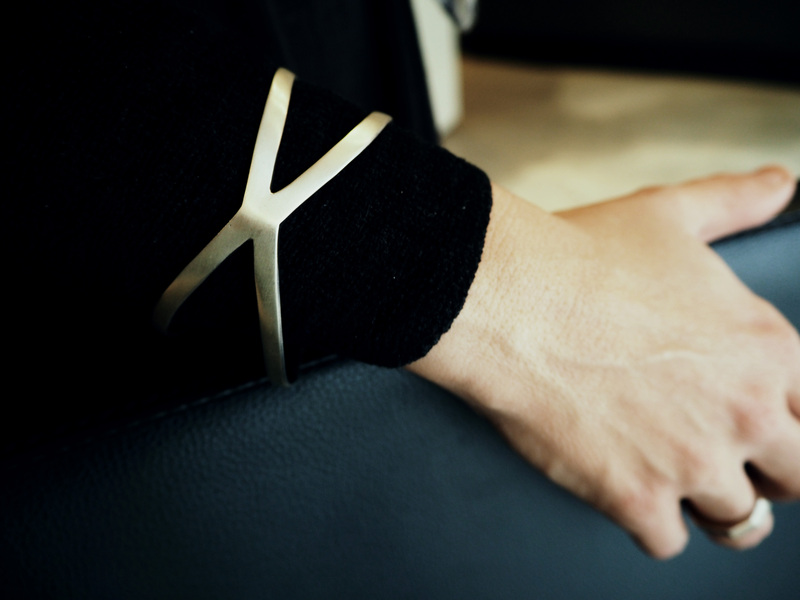 A winter bangle needs to be able to hold its own among thick sleeves but also comfortably accommodate a jacket. 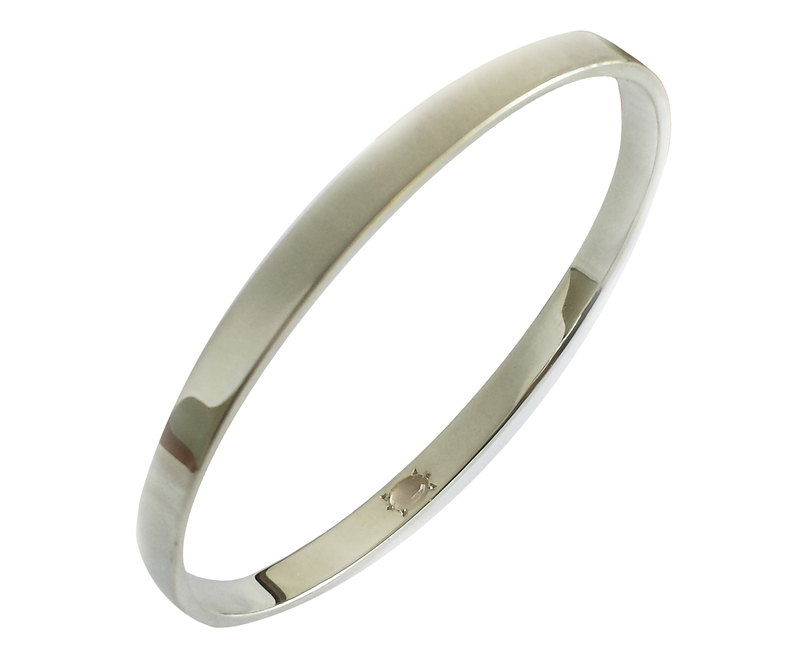 This winter, opt for something solid and streamline like our sterling silver ‘Shadow’ bangle. Beware of large studs and hook earrings that can get caught up in jumpers and scarves. 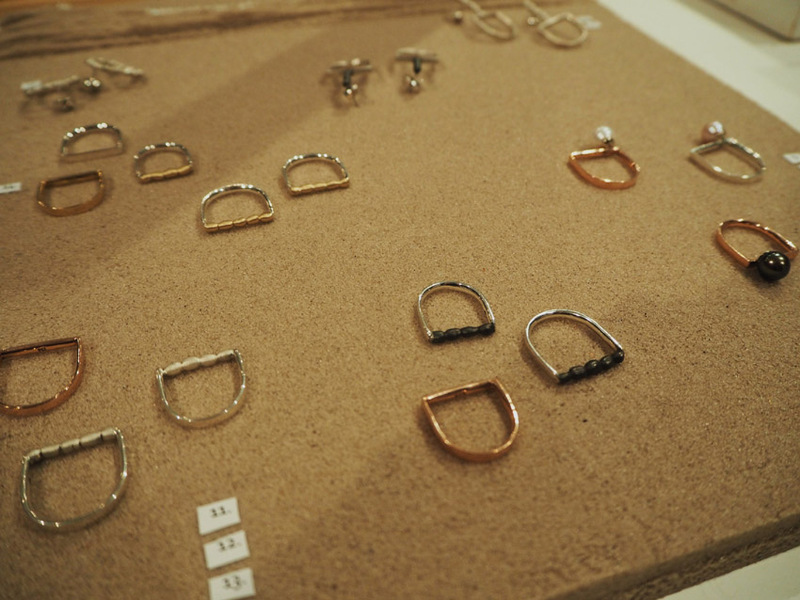 Think about wearing studs that nestle in close or hooks with clever streamlined lock-in designs like our ‘Aria’ earrings. Necklaces tend to lose out in winter as they either become lost in layers of clothing or are too bulky to wear with coats and scarves. We recommend a middle-ground piece that can be worn as a clean, clear feature, such as our ‘Momento’ pendant. This entry was posted in Products, Special Interest on June 11, 2015 by admin.